1. Question: If very few people care much about this amendment, why would anyone sponsor it? Professor Walshs response: Putting aside the fact that it is good for America generally, uses include: (1) deflection of false anti-immigrant accusations based on a lawmakers stance against illegal immigration; (2) attraction of votes from naturalized citizens and their friends; (3) rejection of blood and soil nationalism. My comment: We are supposed to believe without any explanation that this amendment would be good for America generally. To avoid anti-immigrant accusations, we are told we need to change our presidential eligibility by getting rid of the natural born citizen clause, a clause that the Framers included in the Constitution for national securitys sake. We are also told to change our presidential eligibility so that some unstated person or party can garner more votes at the polls. And the best of all, Professor Walsh tells us that removing the natural born citizen clause will get rid of blood and soil nationalism from American politics. In his actual article, he calls it blood and soil white nationalism. In that article he also says that politicians should be amendable to advocating getting rid of the natural born citizen clause to give the appearance of not being anti-immigrant(easy inoculation against the virulent accusation of being anti-immigrant) and not being associated with people who advocate such a bad idea. His plan for getting the amendment accomplished is for Democrats to set up Republican to do the job for them. His scheme is for two-thirds of both Houses of Congress to propose the amendment, led by Republicans who for the sake of winning elections should want to give voters the appearance that they are not anti-immigrant or racists and supported by Democrats who are already on board. It looks like in Professor Walshs world, there should be no problem with Russian collusion. Did it ever occur to Professor Walsh that blood and soil is what makes a nation state and that it is the energy which when used properly keeps people free? 2. Question: What about competing loyalties to country of birth for a candidate who is a naturalized citizen? Professor Walshs response: Lets remember were only talking about eligibility. Presumably voters can decide about allegiance. And theres no good reason to treat circumstances of birth as a reliable proxy. (The Manchurian Candidate was born in the United States.) With respect to competing loyalties more generally, the naturalization process requires a choice and newly naturalized Americans are akin to converts. My comment: What Professor Walsh does not address is the question of whether it is voters or parties who produce our elected leaders. He should examine why the Framers guaranteed the States a republican form of government and gave us the Electoral College as part of the process for electing our President and Commander in Chief. If voters without more can in the heat and partisanship of an election be trusted to make the right decision about who shall be the single person to wield not only the executive power, but also all our military power, then why even have a Constitution or even laws? Will Professor Walsh next be advocating getting rid of our republican form of government and replace it with mob rule? He states that citizenship is no guarantee of allegiance. If the natural born citizen clause is to die because it is not a guarantee of loyalty, then why have the age and residency eligibility requirements or any requirements for that matter? Finally, he tells us that a naturalized person is as loyal as a natural born citizen because naturalization requires a choice. What he fails to tell us is what exactly is that choice and how does it relate to allegiance to the United States. Needless to say, I am not impressed with the reasons that Professor Walsh puts forth for justifying his proposal to remove the natural born citizen clause from presidential eligibility and ultimately from the Constitution. 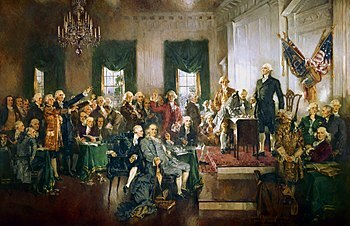 The Framers inserted the clause into the Constitution to assure that the constitutional republic would be preserved by requiring that the nation be led in international relations and military combat by a person who had undivided allegiance and loyalty to the United States. For those reasons, the clause is worth preserving. While I am at it, I might as well again state what my position is on the meaning of an Article II natural born citizen. My years of research and litigation in the courts have led me to the conclusion that the definition of a natural born citizen comes from natural law and that under that law, which was codified into the law of nations, a natural born citizen is a child who becomes a member of society (citizen) at birth by virtue of his or her birth circumstances alone and therefore needs no positive law to make or deem him or her a citizen. American common law at the time of the framing of the Constitution reflected this natural law and law of nations understanding. See Emer de Vattel, The Law of Nations, Section 212 (1758) (1797) ("The citizens are the members of the civil society: bound to this society by certain duties, and subject to its authority, they equally participate in its advantages. The natives, or natural-born citizens, are those born in the country, of parents who are citizens"); Minor v. Happersett, 88 U.S. 162 (1875) ("all children born in a country of parents who were its citizens became. . . natives, or natural-born citizens"); accord U.S. v. Wong Kim Ark, 169 U.S. 649 (1898) ("The child of an alien, if born in the country, is as much a citizen as the natural born child of a citizen, and by operation of the same principle"). Hence, there are two necessary and sufficient elements in the definition of a natural born citizen under the common law with which the Framers were familiar when they drafted the Constitution and therefore under the Constitution, i.e., (1) birth or reputed birth in the country (2) to parents who were both U.S. citizens at the time of the child's birth. Again, these elements are both necessary and sufficient to make a natural born citizen (place of birth alone is necessary but not sufficient). Satisfying just one of the elements will not be sufficient for producing a natural born citizen. This definition is enshrined in the Constitution. While the 14th Amendment could have changed this definition, it did not. Nor can any Act of Congress supplant it. Scholars and professors who have been publishing papers on the meaning of a natural born citizen argue whether place of birth or parentage is necessary or sufficient to make one a natural born subject. They fail to understand that these two elements are both necessary and sufficient to make one a natural born citizen. One other point merits discussion. New Jersey Administrative Law Judge Jeff Masin, in my latest New Jersey ballot challenges against Senator Ted Cruz, found in 2016 that English and U.S. naturalization Acts were incorporated into and became part of English and therefore U.S. common law and that therefore under that common law, a child born out of the United States to two or even one U.S. citizen parent is a natural born citizen. "The more persuasive legal analysis is that such a child, born of a citizen-father, citizen-mother, or both, is indeed a 'natural born citizen' within the contemplation of the Constitution," ALJ Masin wrote. The full decision can be read here: https://www.scribd.com/doc/308269472/NJ-Judge-Advisory-Opinion-Rules-Canadian-Born-Cruz-Eligible-To-Be-President-4-12-2016. Reduced, this means that he concluded that birth to one U.S. citizen parent, no matter where that child may be born in the world, is sufficient to make one a natural born citizen. I objected to this position and holding, arguing that if it were correct that American common law had been so transformed by such statutes and such common law formed the basis of the constitutional definition of a natural born citizen, then all of Congresss naturalization Acts since the beginning of our nation have been unconstitutional and the U.S. Supreme Court, which has ruled on the meaning of U.S. citizenship and interpreted those Acts throughout the centuries, has gotten it wrong. The Supreme Court ruled in 1967 in Afroyim v. Rusk, 387 U.S. 253 (1967) that the government can expatriate an American citizen only after he or she commits a voluntary act that demonstrates an intent to renounce his or her U.S. citizenship. The Court said: We hold that the Fourteenth Amendment was designed to, and does, protect every citizen of this Nation against a congressional forcible destruction of his citizenship, whatever his creed, color, or race. Our holding does no more than to give to this citizen that which is his own, a constitutional right to remain a citizen in a free country unless he voluntarily relinquishes that citizenship. Id. at 268. If the Fourteenth Amendment has such power which I agree it does, then, if ALJ Masin is correct, it, along with the Fifth Amendment, can also be used as a basis for arguing that Congress has since the beginning of our nation violated the Constitution by not recognizing the natural born citizen status of all children born out of the United States to one or two U.S. citizen parents. Neither ALJ Masin nor the New Jersey Appellate Division addressed my observation and objection. The debate on the meaning of a natural born citizen continues. It will not end until the U.S. Supreme Court rules on the merits of the meaning of the clause. In the meantime, we should keep the natural born citizen clause right where it is, in our Constitution. Not only should the natural born Citizen requirement remain as is, but it should be expanded to require all executive branch cabinet members, all SCOTUS justices as well as Speaker of the House and President pro tempore of the Senate be natural born Citizens. The states should also bring back the requirement for Governor as well. We live in even more dangerous times than in the 18th century, there is plenty of foreign "intrigue" out there. All of the unconstitutional, anti-United States, action we saw the Usurper Soebarkah undertake should awaken the country to the absolute need of the natural born Citizen requirement. Well, since I am a supporter of blood and soil nationalism, this does not appeal to me. and as they make immigration changes, end ‘dual citizenship.’ If we want to make some kind of first or second generation “heritage” deal, that’s fine but to be a citizen of two countries (or more) simultaneously is ridiculous and dangerous to the USA and to the ‘other’ country(ies). Ping to a new post by Mario Apuzzo. Yeah, they seem to want someone from Nigeria to be president. Oh, wait, didn’t we??? "Professor Walsh writes that the original Constitution is not perfect and it is time to change its actual text." Yup, since that’s Professor Walsh’s stance, sounds like he doesn’t have the interest of our country in mind. He sounds like a globalist...in the least. No wonder he suggests getting rid the requirement. I believe an amendment to ban citizenship for illegals’ anchor babies would pass. I don’t know why people are so timid about immigration. I am anti-immigrant; in fact, I think that the smartest thing the U.S. could do is adopt, word for word, the immigration laws of Mexico, or Japan, or China, or any other third world country. Even today, whenever any conservative leader, such as Rush Limbaugh, talks about immigration, the first thing they rush in to say is that they are not against immigration, it is illegal immigration they specify. As Ann Coulter explained in her book, it is LEGAL immigration that will end up destroying the country. Why bother its not enforced anyway at least if youre a Rat minority. McCain was born to parents out of the country in service to the nation. You dont seriously believe that children of military and diplomatic personnel are ineligible to be president. That is PRECISELY what they taught us Brats in the elementary school on the base in Beaufort. That singular office must be free of any hint of foreign allegiance or sympathy. Imagine a world where McCain was elected. Someone stirs up trouble in Panama. ANYTHING he does or DOESN'T do becomes a democrat political football. These critters are deepstate critters who wish to make it easier to penetrate the USA from within and take it down. In short they hate the USA. Think Gramsci. Think Communist manifesto. Besides it is insane to put your country at such risk in the name of Progressive political correctness. That would allow President Soros. It’s not like it’s enforced. Lots of non-natural born citizens have been allowed to run for president. Off the top of my head in my lifetime, George Romney, John McCain, Barry Soetoro, Ted Cruz. A little research adds Chester Arthur, Christopher Schürmann, Lowell Weicker, Charles Evans Hughes, Marco Rubio and Bobby Jindal. It did not nor will future usurpations. Public school has assured that. Two Citizen Parents, born on US soil. States should control requirements for their state office holders. One would also want an “In-State” born requirement for higher state offices. Imagine the problems all the Cali Refugees will cause in Texas over the coming years? Same of NY Refugees in Florida.